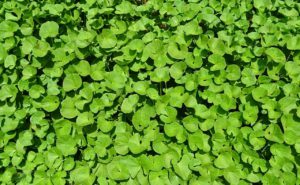 What is Bacopa? 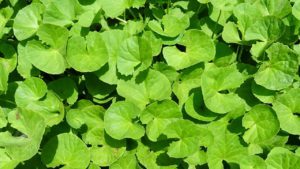 Why do you need this herb for stress management? When we experience stress, we are looking for every way to reduce, relieve it or at least deal with it. There are many ways to relieve stress in our lives. A healthy lifestyle, supplements, hobbies, our mindset can help us to be less stressed and enjoy our lives more. I know that nothing is so easy as it seems, but still… We try our best to manage stress and anxiety in our lives. Today I talk about one of nature’s gift to us – herb that may help us deal with our stress and hectic life better. Here you can also find great Bacopa supplements that may be helpful in stressful times. Bacopa Monnieri is an Asian herb that has been used for hundreds of years by Ayurveda practitioners for memory support and mental support. There is even scientific research that supports the ancient practice. This plant contains phytonutrients (bacosides) which encourage the growth of neurons and support the vital neurotransmitters that are involved in memorization and information processing. One Australian study concluded that Bacopa improves cognitive processes that are dependent on the input of learning and memory. I always believed that ancient people have knowledge that seemed to get lost in history because nowadays we all need scientific studies and proofs for everything. Somehow I think we need to think that maybe this kind of knowledge needs to be remembered today and used. What can we really lose? Almost all of us live lives under constant stress. Bacopa is a natural adaptogen and nootropic that can help you relax, ease your mind and improve immunity, focus, and creativity. This herb is a great remedy for stress relief, and because of its properties can help you deal with it. Concentration and focus improve, and it’s easier to deal with daily life and stressful times. When we are stressed, we sleep worse, think slower and our immunity decreases, so Bacopa supplement can be the right thing to use. It may provide something that you organism needs. Here are three Bacopa supplements. Description: This Bacopa supplement contains Bacopa Monnieri extract called BaCognize that is a guaranteed-potency extract standardized to 12% bacopa glycosides. It may support memory and mental focus especially in times of stress. Bacopa also supports a normal response to daily stress. Description: This Bacopa supplement is made from 100 % herbal ingredients. It has the ability to regulate your body’s response to stress. This supplement is a high-quality product that can help you lead a better life. It has a high concentration of Bacopa Saponins at 26% (70mg) per tablet. 3. Bacopa monnieri Extract 700mg, Standardized to 50% Bacosides, 120 Vegan Capsules. Non-GMO, Gluten Free by VitaminWay. Description: This Bacopa supplement can help you deal with stress because this herb is a natural adaptogen and nootropic and helps you to calm down and relax. According to the company, this plant is especially great for people who have a responsible job, and they need to focus. This herb stimulates the central nervous system and helps you mentally. It is concentrated into a small capsule that is easy to swallow. One customer didn’t notice any difference while taking this supplement. Now you know, what is Bacopa and how it can help you deal with stress management. It is also a great herb for brain health, focus, creativity, and immunity. If you are planning to take Bacopa supplements, it’s better to consult with your doctor. Sometimes for some people, Bacopa supplements may cause side effects. What do you think about Bacopa and its supplements? Did you use them before? Let me know below! Are you looking for the best Bacopa supplement? CLICK HERE for more information.